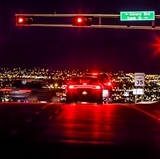 The University of New Mexico’s Art Museum opens a new exhibition titled, "Frida Kahlo - Her Photos" exhibition opening and welcome back party Aug. 25, from 4 to 7 p.m. Curated by Pablo Ortiz, Frida Kahlo – Her Photos, is an international traveling exhibition featuring a rare and extensive selection of Kahlo’s personal photographs. The opening reception will feature music by DJ Halcyon, featuring Latin music and food catered by My Sweet Basil, who will be making recipes from and or inspired by a cookbook of Frida Kahlo’s own recipes. This exhibition, which will be on view through Dec. 2 in the Main, Van Dere Coke and Clinton Adams Galleries. was curated from a collection of 6,500 images that lay hidden in the Blue House Archive for 50 years, and offers a uniquely intimate glimpse into the life and work of a beloved cultural icon. 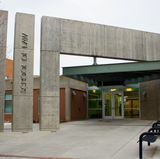 The idea to bring the exhibition to UNM was hatched back in 2015 when Interim Curator and Art Professor Ray Hernandez-Duran and College of Fine Arts Dean Kym Pinder, who was interim museum director at the time, because of its high level of visibility. 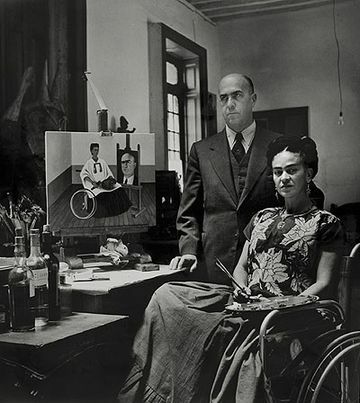 Frida Kahlo with the doctor Juan Farill, by Gisèle Freund, 1951 ©Frida Kahlo Museum. Frida Kahlo – Her Photos, contains over 200 previously unseen images, including work by Kahlo, as well as photographs by such creative luminaries as Man Ray, Martin Munkácsi, Tina Modotti, Edward Weston, Nickolas Muray, and Manuel and Lola Álvarez Bravo, among many others. The exhibition promises to reveal new insights into Kahlo’s rich and deeply personal world, and tells a fascinating story of an artist, a place, and an era. This collection of photographs was first revealed to the public in 2007; Mexican photographer and photo historian Pablo Ortiz Monasterio curated the images selected for the exhibition, which encompass six central themes: Origins, ‘Blue House,’ Politic, Revolutions and Diego, Broken Body, Frida’s Loves, and Photography. Each section testifies to the important role photography played in Frida Kahlo’s life. Kahlo was a Mexican painter who focused on self-portraits with strong autobiographical elements. She utilized a naïve folk art style to explore questions of identity including postcolonialism, gender, class, and race in Mexican society. She carefully and meticulously accumulated a vast collection of photographs, and while the collection contains images that undoubtedly belonged to her family and to Diego Rivera, it was Frida’s own diligent efforts that ensured these photographs were preserved for posterity. 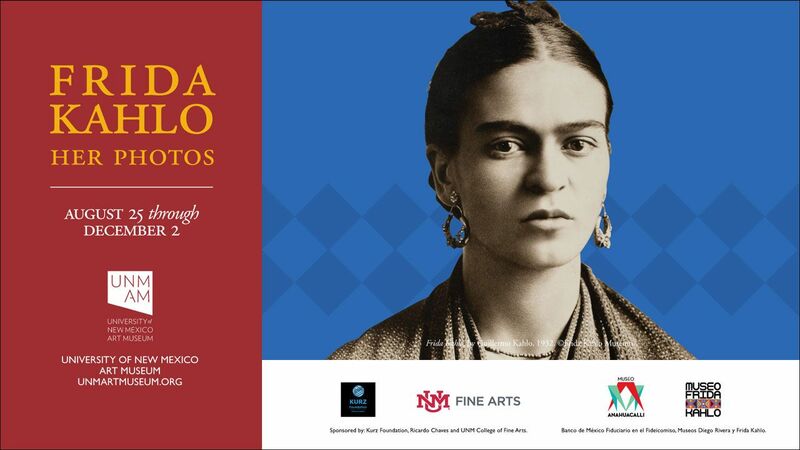 This exhibition is organized by Frida Kahlo Museum – Casa Azul/Diego Rivera Museum; Banco de Mexico Fiduciario en el Fideicomiso Museos Diego Rivera y Frida Kahlo. 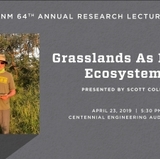 For more information, visit UNM Art Museum or call (505) 277-4001.